Lia Chiarotto is a Toronto employment lawyer, and principal of Chiarotto Law. Before opening her own law practice, Lia spent 18 years practicing labour and employment law at two top-tier national Bay Street firms. Lia now provides her clients with “Bay Street” expertise at reasonable cost. Lia has extensive experience in all aspects of employment law, workplace human rights, and workers’ compensation law, and is recognized by her clients and colleagues for her professionalism, integrity and high quality legal services. Lia acts for a wide range of employers, from large U.S. and multi-national companies doing business in Canada, to small start-up companies, non-profit organizations, and professional firms. Lia is a trusted partner to her employer clients. Lia’s employer clients regularly rely on her to provide practical advice on how to manage difficult workplace issues, including harassment and discrimination claims, accommodation of disability, discipline, performance management and terminations. Lia also has extensive experience in drafting all manner of employment agreements and workplace policies to minimize legal risks for employers. Lia is also frequently retained by other law firms, including U.S. law firms, Canadian boutique firms, and Canadian law firms in other jurisdictions to provide employment law services in Ontario. She is also retained by law firms to conduct independent workplace investigations. Lia also acts for employees. She advises and represents executives, managers, and other employees in matters relating to wrongful dismissal, severance package review and negotiation, employment contract review, executive compensation, and non-compete and non-solicitation agreements. In addition to providing legal advice, Lia regularly represents her clients before the courts and administrative tribunals in employment-related litigation, including wrongful dismissal litigation, human rights proceedings, workers’ compensation appeals, employment standards proceeding, and labour arbitrations. Lia also has extensive experience in representing employer clients in independent contractor disputes before Canada Revenue Agency and other tribunals. Lia speaks regularly on employment law topics. 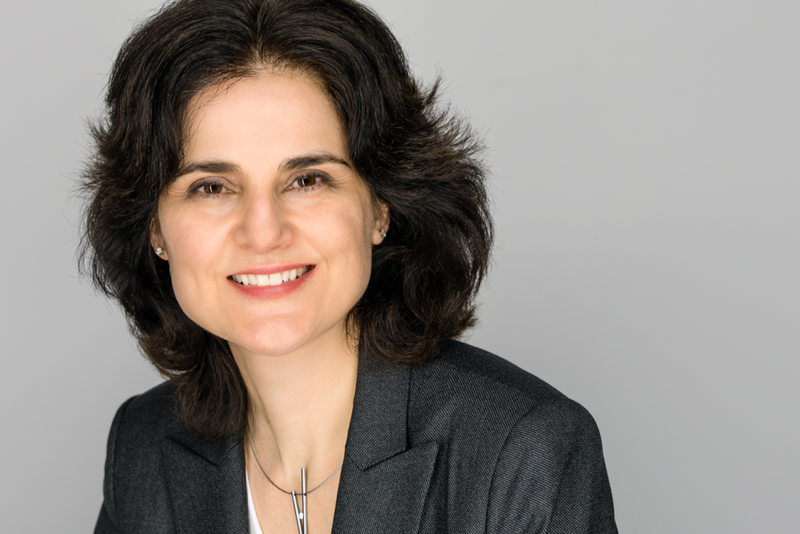 She has spoken at conferences and seminars hosted by the Toronto Board of Trade, the Canadian Corporate Counsel Association, the Toronto Regional Immigrant Employment Council (TRIEC), the Ontario Bar Association, and the American Bar Association, among others. Lia obtained her L.L.B. from the University of Toronto where she distinguished herself academically, and was recognized with several awards including the McRuer Scholarship for the highest standing in administrative law, and the Michael John Eccles Prize for the highest standing in criminal law. Lia also holds a Bachelor of Commerce from the University of Toronto. Speaker, "Pitfalls and Challenges in Accommodating Mental Illness", Federated Press 5th Workplace Mental Health Conference, Toronto, December 11, 2013. Speaker, "8-Minute Updates: Keep it Quiet! Confidentiality Issues", Heenan Blaikie Professional Development Seminar Series, November 27, 2013. Speaker, "Human Rights Law and Removing the Canadian Job Experience Barrier", Toronto Region Immigrant Employment Council (TRIEC), November 20, 2013. Speaker, "Managing Mental Health Issues in the Workplace", webinar for the Canadian Corporate Counsel Association, September 17, 2013. Speaker, "The ABC's of Employment Contracts", Toronto Region Board of Trade Advanced Business Fundamentals Seminar Series, September 12, 2013. Author, "Is Requiring Canadian Work Experience Discriminatory? ", CCH HR Connected, No. 43, July 2013 edition. Contributing Author to Ultimate Canadian Corporate Counsel Guide, published by CCH (authored chapter on Canadian workers' compensation law). Speaker, "Employee Terminations: Minimizing Your Risks" , Managing the Workplace Seminar Series, Heenan Blaikie, April 26, 2012. Speaker, "Handling Medical Information: Requests for Medical Information and Independent Medical Assessments", Insight's Annual Disability Claims Management and Litigation Conference, Toronto, February 28, 2011. Speaker, "Stop Stressing about Disability Claims: Understanding Employers' Rights and Responsibilities in Managing Disability Claims", Managing the Workplace Seminar Series, Heenan Blaikie, October 5, 2011. Speaker and Author, "The Do's and Don'ts of Drug and Alcohol Testing" Industrial Accident Prevention Association Golden Horseshoe Regional Conference, Hamilton, 2011. Speaker, "Recruitment and Hiring: What Employers Need to Know", Managing the Workplace Seminar Series, Heenan Blaikie, November 9, 2010. Speaker, "Managing the Workplace in an Economic Downturn", Managing the Workplace Seminar Series, Heenan Blaikie, July 21, 2009. Speaker and Author, "Damages in Wrongful Dismissal: A Review of the Law after Honda and Evans", Ontario Bar Association's Annual Conference on Current Issues in Employment Law, February 2009. Speaker and Author, "Work-Related Stress Claims under the Workplace Safety and Insurance Act", Municipal Health and Safety Association Conference, October 2008. Speaker and Author, "Responding to Work-Related Stress Claims", Industrial Accident Prevention Association Annual Conference, April 2008. Speaker, "The Legal Side of Employee Relations: How to Minimize Future Liability for your Organization", National Conference of the Canadian Society of Association Executives, October 2007. Speaker and Author, "Canada-U.S. Cross-Border Workers' Compensation Issues", American Bar Association, Midwinter Meeting of the Workers' Compensation Section, Miami, March 2006.